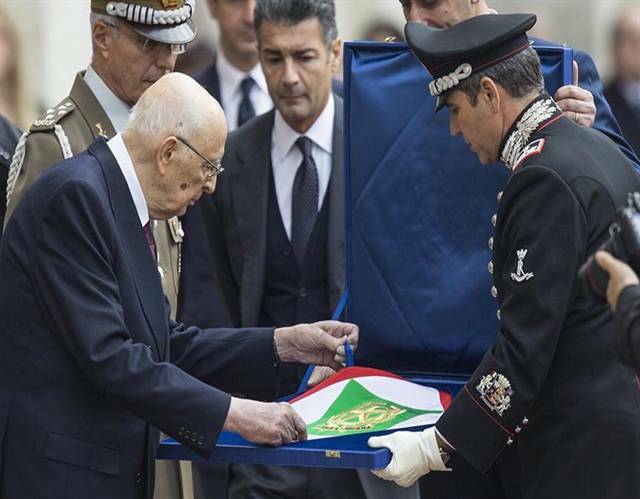 ROME –Former President Giorgio Napolitano left office definitively Jan. 14, to return to his home in Rome’s colorful, ancient Monti quarter, a stone’s throw from Trajan’s Forum. 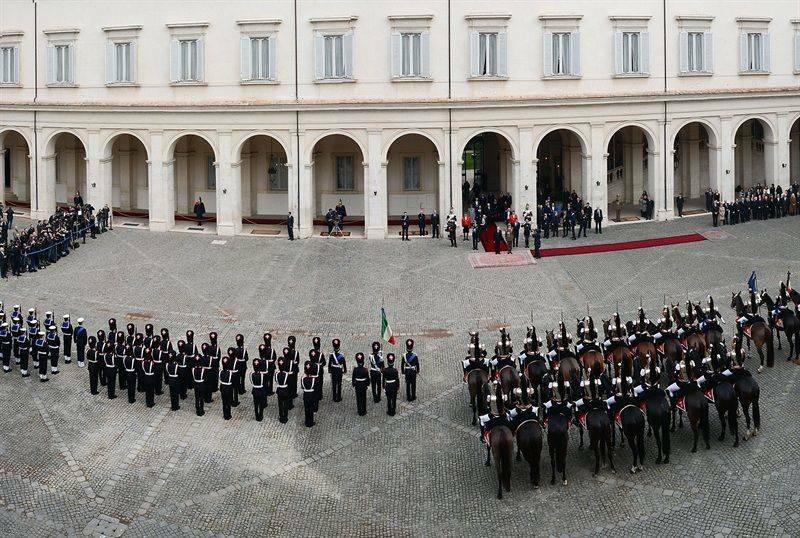 His departure after nine turbulent years in office was moving to watch as, in the great courtyard of the Quirinal Palace, he received the formal farewell salute of a horseback brigade in full regalia. Now, with that ritual behind, the less elegant horse trading to elect a successor begins in earnest. Two years ago Napolitano agreed to succeed himself only to break a long political stalemate. 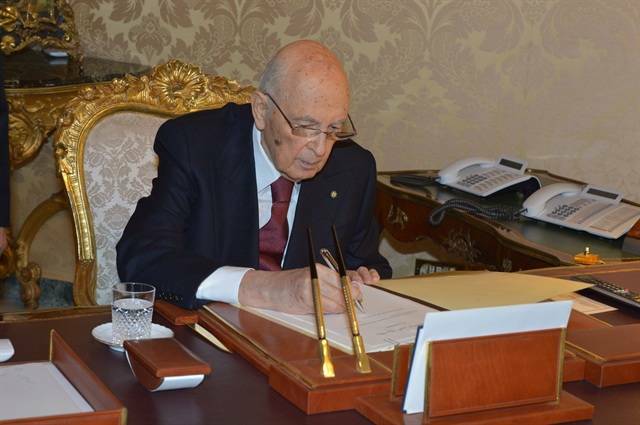 The question is whether that stalemate will be repeated, without a Giorgio Napolitano to smooth over a difficult transition. Premier Matteo Renzi predicts speed. He has announced that the election process is to begin Jan. 29 and, he adds hopefully, will be concluded by the first days of February. He actually said: “It is reasonable to think at the end of this month we will have a new president of the Republic.” This is less than likely: the first ballot is to take place Jan. 30. In the election process a total of 1,009 voters are to participate: 630 deputies, 315 senators, 58 regional delegates, and six lifetime senators. For the first three ballots a two-thirds majority is required, and that appears unlikely, but after that just 505 votes are necessary. On paper this should be a shoo-in. Because the so-called “Nazareno Pact” between Renzi and former Premier Silvio Berlusconi eleven months ago has not been entirely blown out of the water, the two groups alone account for 580 votes – 450 from Renzi’s Partito Democratico (PD) and around 130 from Berlusconi’s Forza Italia (FI). In fact, the numbers are far fewer. For one thing, the presidents of the Chamber and the Senate, both PD, do not vote by tradition. Most importantly, it is no secret that the majority PD has a massive, grumbling inner opposition, and at least 40 of Berlusconi’s theoretical 130 minions are considered breakaways. In short, because this is a secret ballot, neither of the two large parties which have agreed to merge their votes can be certain of how many votes they can actually command. In Italian parlance, those disobeying party calls for unity are known as “franchi tiratori”, or sharpshooters. Besides sharpshooters, there are other unknown unknowns which further muddy the equation. The Renzi and Berlusconi parties are not alone is having their MPs and senators steal away openly or otherwise; Beppe Grillo’s Movimento Cinque Stelle (M5S) is reduced in size because Grillo and bad-hair PR sidekick Gianroberto Casaleggio have so far expelled 26 of their numbers. Of these, twenty are reportedly willing to negotiate with Renzi over the choice of a presidential candidate. If this may be a plus, there is another group with which Renzi, who is coordinating election politics, must deal. His governing partner Angelino Alfano, who had broken with Berlusconi to create a party called Alleanza Nazionale (AN), has just made common cause with the former Christian Democratic leader Pier Ferdinando Casini. Together these two seem to have a voting package of 70 – but their rightist votes will further alienate Renzi’s noisesome leftists. You may be able to do the addition, but even if you are good at math, bear in mind that personal as well as political grudges come to bear, and inside that secret ballot box – made of plaited straw, it is called the “salad bowl” – no one knows what will be the outcome. 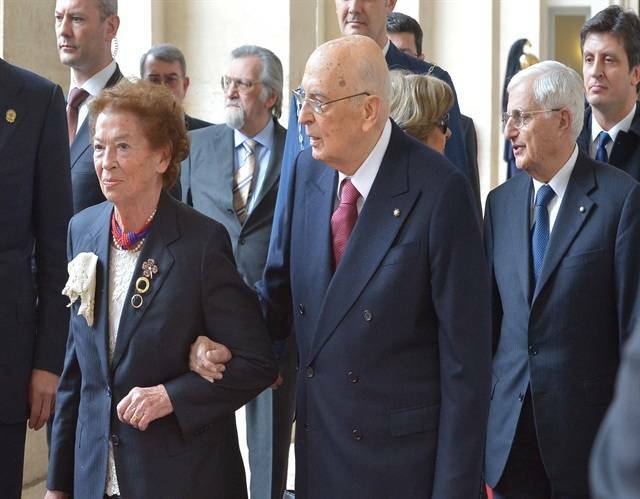 When Napolitano was re-elected two years ago, he made a gruff acceptance speech in which he said he had agreed to succeed himself – an historical first for Italy – because he was counting upon governments which would bring about serious reforms. Has the premier he appointed been able to deliver those promised reforms, which range from reducing Senate powers (and the Senate itself) so as to speed up the voting process, to writing new election rules? Most observers here say that these important reforms have not been passed despite Renzi’s energetic efforts and genuine commitment. The most important is the pending election reform bill, called the Italicum. This bill and election of a successor to Napolitano are tightly interwoven, even though pundits now suggest out that it may already be too late for new early elections to be called in the Spring.